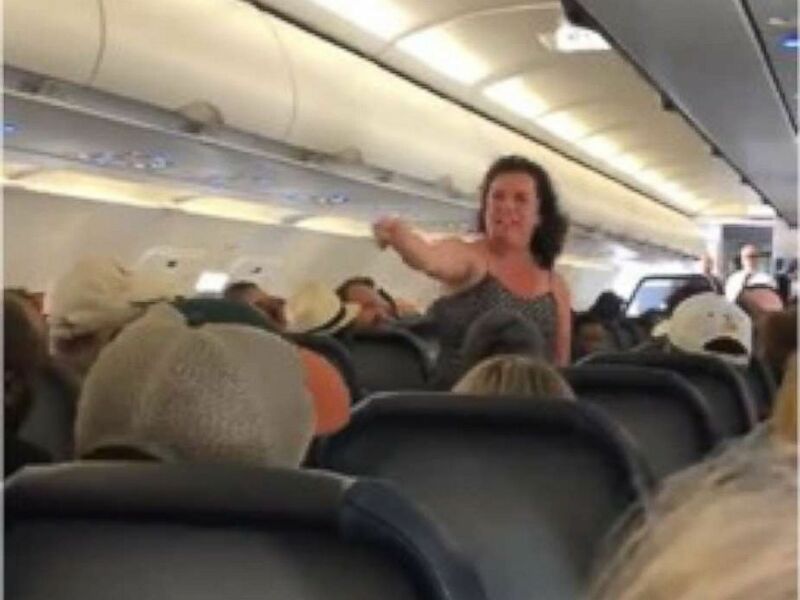 After a Minneapolis-bound Spirit Airlines flight made an emergency landing in Rochester, Minnesota, to assist a sick passenger, a woman on the flight erupted into a profanity-laced tirade, marching up and down the aisle and threatening other passengers. Video captured by passenger Chianti Washington and posted to Facebook recorded the outburst, which continued even as the woman was escorted off the plane by police. Other passengers could be seen in the recording praying and consoling each other during the woman's hysterics, which included rushing toward the cockpit. "She was yelling at the two gentlemen that were trying to block her -- it was very scary," Washington told ABC News. "She would just not stop, and as police escorted her off the aircraft continued to remain belligerent." "All I could think about was the children on the aircraft -- I said a prayer," Washington added. "You just didn't know what she was going to do. We were very much scared and shaken by her behavior." "Yesterday morning a flight from Houston to Minneapolis had to land in Rochester, Minnesota due to a Guest experiencing a medical emergency. On the ground in Rochester, another passenger became erratic and irate and was removed from the aircraft with the assistance of law enforcement. We apologize to our Guests who had to witness this and for the inconvenience of the delay. Safety is our top priority at Spirit Airlines." A woman was removed from a flight after she unleashed a profanity-laden tirade after the plane made an emergency landing.